I have to admit that since the over-indulgance of Christmas and New Year, my uniform of choice consists of black slimming skinny jeans and an oversized knit. Enough! I want to ban these loose fitting clothes and start feeling like myself again, so I have assigned myself 10 winter beauty commandments. If these feelings sound familiar and you want to revive your beauty regime, read on. 1. Thou Shalt Indulge Your Hair – Excessive use of heated products as well as indoor heating can really dry out your hair, so treat it to an indulgent hair mask once a week. The best ones to use contain Argan or Macademia oil to really quench your hair’s thirst. I’ve tried a few recently, including Ojon’s Damage Reverse Restorative Hair Treatment (from Boots) which came highly recommended from a friend with extremely glossy hair, so I had high expectations! You warm the mixture in your hands to create an oil and apply to dry hair, brush through and leave on for 20 minutes ( I worked hair over with a blow dryer too ) or over night. I didn’t have to condition after shampooing, and even without my usual routine of leave in conditioner and oils before blow drying, it left my hair really silky soft and easy to comb through, and even the morning after the party there was not a flyaway hair in sight!! 2. Thou Shalt Maintain Your Skincare Regime – I know it’s tempting in winter to just grab a face-wipe and hit the pillow, but STOP! Put it down! Especially in winter, you need to nourish and moisturise your skin before bed to help to renew your complexion. I’m still working through my bottle of Clarins Demaquillant Tonic Express that I mentioned in my Urban Decay article here, and still loving it! I follow this with whichever night-cream I find first in my bedside table, as long as you moisturise, your skin will thank you. 3. Thou Shalt Not Be Pale – Yes it is winter and your limbs are constantly covered, so a fake tan may be a little excessive, but I find applying a gradual tan instead of my usual moisturiser a couple of times a week adds warmth to a complexion and prevents the otherwise inevitable pale, grey looking January skin. For best results, exfoliate thoroughly and use a rich moisturiser on the first evening, and then the following evening use a light exfoliator or exfoliating gloves before applying a gradual tan in place of your normal moisturiser. Repeat this cycle for a natural looking winter glow. I was bought the Soap and Glory ‘The Yule Monty’ gift set for Christmas (and by the looks of Twitter, lots of you did too!) and their Scrub of Your Life exfoliator and The Righteous Butter body lotion are perfect for this routine. 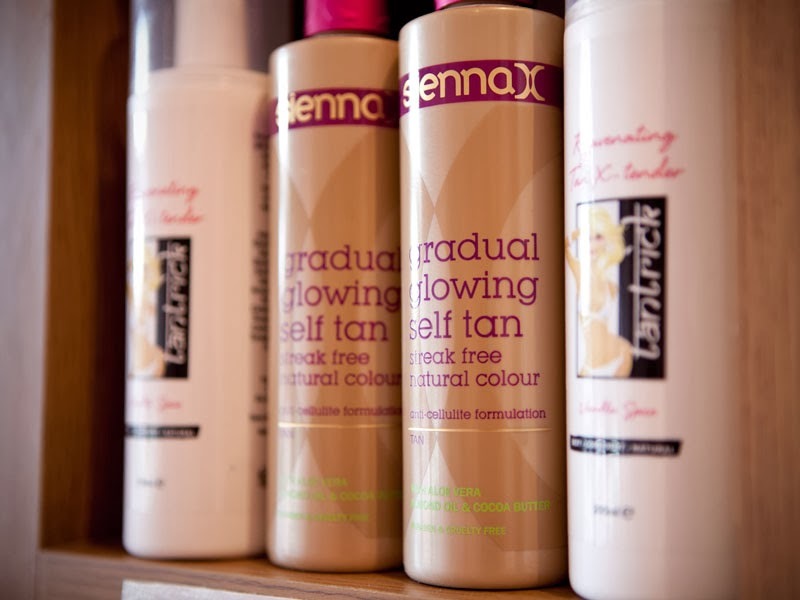 For a gradual tan that genuinely does not smell and gives a glow from the first use, I recommend Sienna X’s Gradual Glowing Self Tan which I have been using ever since my days of spray tanning in my gap year! 4. Thou Shalt Treat Your Skin from the Inside – In the Winter, our skin craves Vitamin D – it conditions your skin but benefits the whole body too, for combatting dehydration which your skin and hair will thank you for, you’ll need some Omega 3, 6 and 9. I can’t handle these huge pills, so instead get all my vitamins in one from the Daily Energiser chewy capsules from Bassetts – all the vitamins you need, plus they taste great too! 5. Thou Shalt Not Overheat in the Tub – Yes, it is tempting to indulge in a steaming hot bath at the end of a winter’s day, but these moments of luxury can actually de-hydrate your skin. If you can’t live without this luxury, make sure you use hydrating bath oils or crystals and slather on the moisturiser afterwards. 6. Thou Shalt Exfoliate Regularly – Exfoliating is the one thing that makes the biggest difference to my skin in winter. By exfoliating regularly you can combat dry skin and remove dead skin cells to reveal a fresher complexion underneath. You should exfoliate twice or three times a week, even if you have sensitive skin. 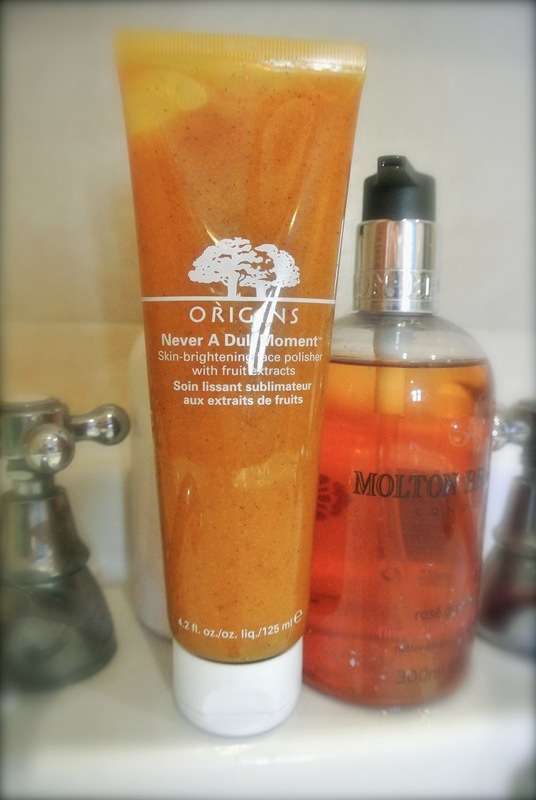 I’m currently using the Origins Never A Dull Moment*, it has a fabulous fruity fragrance and leaves my skin polished without that tight dry feeling that many exfoliators leave me with. 7. Thou Shalt Not Hide Your Legs – Even under layers of tights, leggings and trousers, having silky smooth legs gives you that extra little bit of confidence, so don’t leave shaving out of your daily routine in Winter. If regularly shaving is too much hassle, do as I do and invest in an epilator – more painful to begin with, yes, but after a few uses you’ll be able to wizz over your legs and not have to worry about shaving for the next week or so! Hurrah! 8. Thou Shalt Try New Things – In Winter your skin has extra needs, so you can’t just continue your Summer beauty regime. Use products according to your skins needs – is it dull and dry? Add an oil to your routine before your moisturiser to help retain as much moisture in the skin as possible. If your skin is oily from the constant temperature changes, try using a mattifying serum before applying foundation. 9. Thou Shalt Shellac – If there is one thing that makes me feel groomed, it’s having perfect nails, and by giving myself a gel manicure (read how here) I only need to do it once every three weeks! 10. Thou Shalt Have a Pamper Evening – Combine some of the above and give yourself an evening of indulgence by dedicating some time to pampering! Choose a face mask specific to your skin’s needs. If your skin has trouble holding on to moisturise, try a face mask with honey which is intensely moisturising and also soothes dry, sensitive or irritated skin. Right now my skin is loving this Manuka Honey face mask from Antipodes* – it’s smell reminds me of a luxurious spa treatment and I love the glow it gives my quenched skin!